The Ski in/out Altitude condo is located only 3 minute walk from the main pedestrian village. This unit boasts unmatched luxurious comfort. 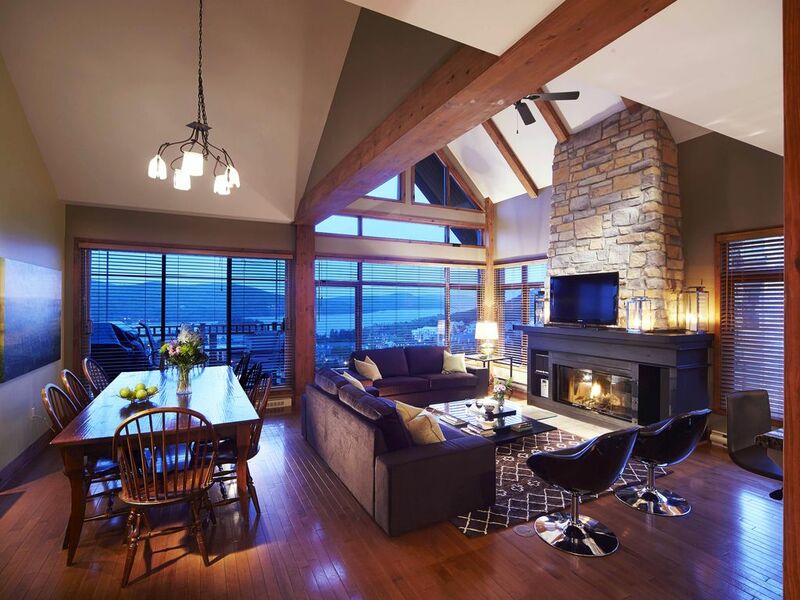 Serviced by a private elevator, this condo offers easy ski in-out access to the main gondola and fantastic views of Mont-Tremblant lake. Combine it with a well-appointed dècor, large windows and cathedral ceilings, and this porperty will become the ideal venue to enjoy spectacular sunsets and memorable moments. Tremblant Living is the leader in luxury rentals in Mont Tremblant. Founded in 2003 the company integrates a group of professionals with strong backgrounds in real estate management, tourism, marketing and customer services. bELLE VUE! bEAUTIFUL VIEW! NO TIME LOST TO SKI! EXCELLENT, PEACEFUL, NO NOISE. ON LOCATION. Was a great location, well appointed unit, Tremblant Living was very attentive to our requests, 5 minute walk to the village, ski in ski out. We rented Altitude 170-9 along with another family and loved the property. It is very clean, neat and decorated beautifully. It was nice to have all the laundry detergent, dish soap, shampoo, paper supplies included as well. The concierge team was very helpful (especially Sue!) getting us restaurant recommendations, ski lessons, tickets etc. We had two other families renting Altitude 170-11 which was nice as well and two doors down. The kids enjoyed the hot tub and we loved the covered parking. I would only say that I don't consider this a true "ski in/ski out" property. It is a bit of a walk through 2 buildings and up a hill with all the gear. Once on the trail though it is a quick jaunt down to the gondola and quad. It is also a 5 minute walk to the village which is great. My only other feedback is that the number of locks/keys/doors one has to get through to get into the building is a bit daunting especially when sharing a unit with another family and only having 2 sets of keys. It takes a lot of coordination to ensure one is not locked out completely. We loved our stay, had a great time and would return. Simply have to walk a bit to lift and to village. Entry and exit is from the garage which I found strange and a bit inhospitable.